Climate Gamble: Is Anti-Nuclear Activism Endangering Our Future? 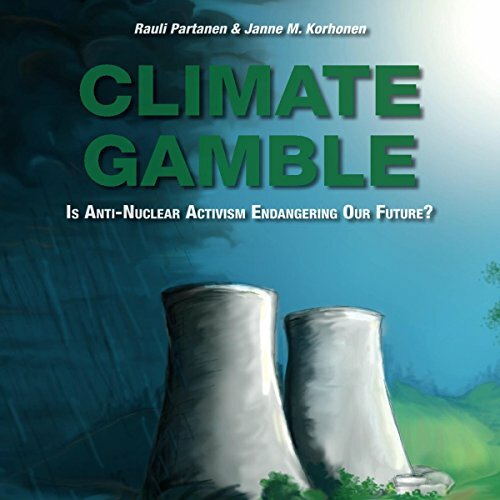 is a thought-provoking, short, and easy book on one of the biggest problems of our time, climate change, and one of its most misunderstood and misrepresented solutions, nuclear power. This audiobook is based on the updated and revised 2017 edition. It is a production of Generation Atomic. An excellent perspective on nuclear. I've spent a lot of time researching the nuclear industry and Climate Gamble offers an incredibly succinct and unique perspective which needed to be added to the mix. You cannot consider yourself fully versed in the intricacies of this industry without reading it. The narration is also crisp and well paced. Kudos to the team that put this together!